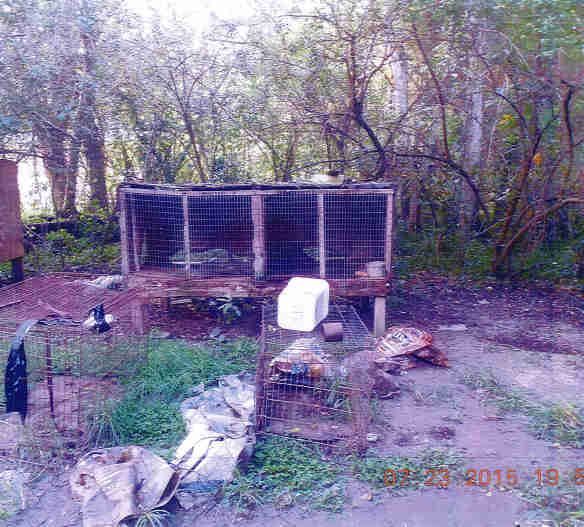 Months after news reports and outraged animal advocates brought to light the horrific conditions of a group of dogs in Winter Garden, Florida, animal control officers have yet to remove all the canines from the property. "The pups and Sassy were all in the wooden box kennel, only one side was semi-protective from the wind and rain. Roof is leaking. There was no water, no w[h]elping box [which protects puppies during and after birth], no food and no blanket. The pups were huddled up against the wall and shaking. They were not bright and alert. Acting a little lethargic. There [were] several piles of feces on the floor of the wood kennel and it was soaked and messy and the pups and mom dog were stepping in it ... Due to the exigent circumstances, the deplorable condition of the dogs living arrangement and the lethargy of the pups, I impounded the mom dog and her three puppies." On September 10, we picked up Sassy and her puppies during a routine transfer from Orange County Animal Services. Upon medical review, Sassy and her puppies had some hookworms, an intestinal parasite and a respiratory infection, both very common issues. Sassy was a little underweight, but that could have been a result from the hookworms and the fact that she was nursing at the time. There were no signs of abuse and her disposition was and remains wonderful. Sassy and the puppies were treated for the parasite and infection and Sassy was spayed. Due to their age, the puppies were initially placed in a foster home until they were old enough to be put for adoption. They returned to SPCA Tampa Bay when they were 8 weeks old. The puppies were spayed or neutered and have since been adopted. Sassy is doing very well and she is currently up for adoption. We hope she finds her forever home real soon. In a storyline that remains ever murky and, at times, baffling, nine dogs once lived at the Winter Garden property. But a dog named Pike was removed and quickly euthanized due to horrific injuries, including an exposed facial bone and missing jaw muscle. The story was explosive and made local news headlines. 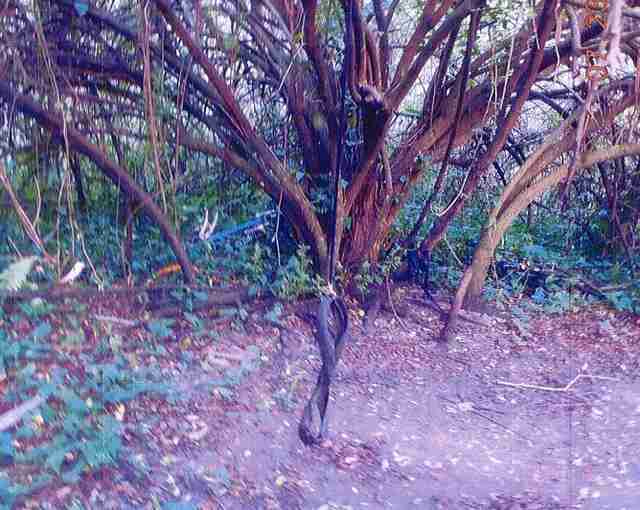 The original officer on the scene of the Winter Garden property on July 23 described a decrepit property, with filthy dog cages and paraphernalia associated with dogfighting (the officer's claims were later dismissed as being uninformed). 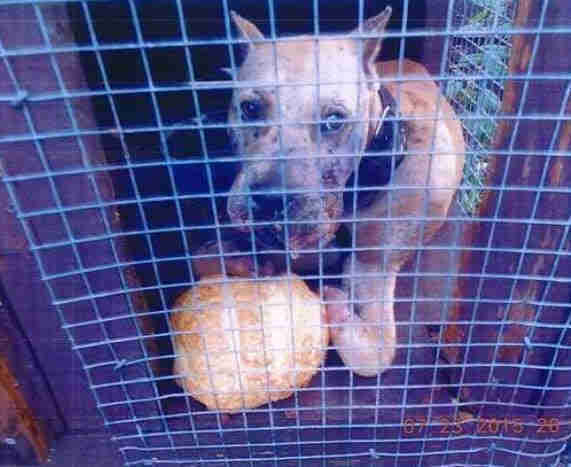 But despite an initial flurry of attention, on October 21, six dogs remained on the property, confirmed Summers. 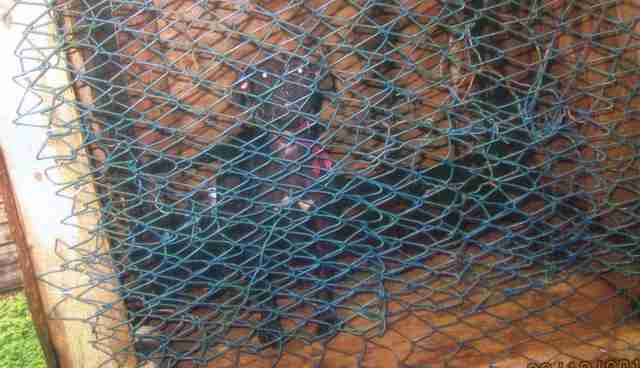 A review of official OCAS notes and photos by The Dodo show the dogs were still being kept in substandard wooden cages. On November 4, however, there were just five. "The owner rehomed the dog," Summers explained. Requests to OCAS to find out where and to whom the sixth dog was rehomed were not immediately answered. 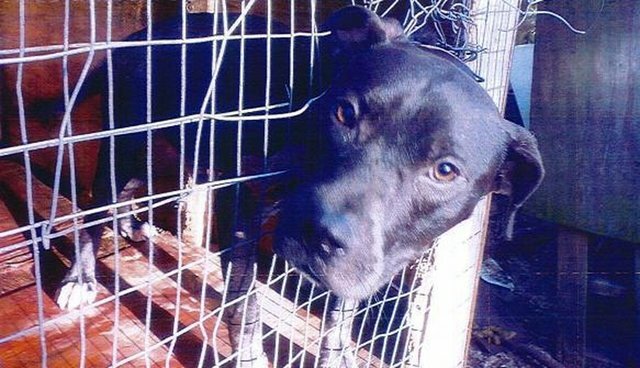 The owner of the dogs - Raymond Williams - had been jailed earlier on animal cruelty charges but officials were unable to confirm if Williams has been released. It wouldn't be the first dog lost due to unclear circumstances. OCAS's notes also show that Sassy originally gave birth to six puppies. One of them apparently died and was buried by Williams while two remain unaccounted for. Efforts to reach the division manager of OCAS, Dil Luther, were not immediately returned. When I first started following this case, I thought for sure that the dogs would be removed, and that it would be a matter of the public coming together to press for harsher charges for the accused. As time has gone on, I have been left very confused and feeling almost hopeless regarding the animals left behind. I have attended the Orange County Animal Services meeting since the break of this story, with myself and other members of the community voicing our concerns with the dogs not being removed and are puzzled as to why they would be left behind ... At the first meeting after the story broke, members of the community were so concerned with the animals being left behind after the arrests, and Dil Luther [division manager, OCAS] acknowledged that the conditions were less than ideal, but stated that 'the dogs will not die overnight.' In context, it felt as though they were not of concern. In fact, this month, the meeting was canceled for members of the board failing to show up and participate. Watching these poor animals sit and wait on a rescue that feels like will never come is pure torture for me as an activist. OCAS acknowledges the public's concern and in some cases, criticism. However, it defends its actions: "We agree this is certainly not an ideal situation," reads an OCAS statement previously provided to The Dodo. "However, by law a warrant or exigent circumstances - clear the animals are in an immediate death or serious injury situation - are required in order to remove animals from the property, which is why one of the dogs were able to be removed." 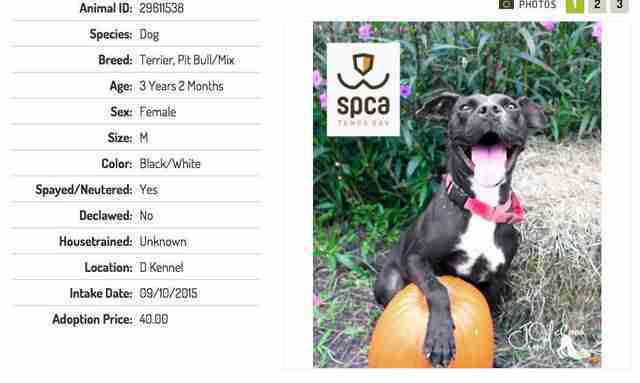 In what might be the one sliver of hope in a story that exposes Florida's weak animal welfare laws, enforcement actions and animal protection values that still pepper the nation, Sassy is looking healthy - and still waiting to be adopted. But in the meantime, five dogs stay bound to the property in Winter Garden.